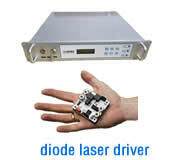 The DPSS CW deep UV laser series SFQCW-266, diode pumped continuous wave solid state laser, comes with a resonant frequency conversion stage, emitting a fixed wavelength of 266nm. 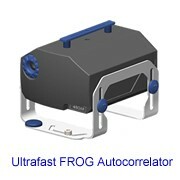 The laser head is contained in a sealed aluminium housing, which allows operation in a wide range of environmental conditions. 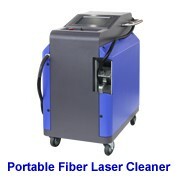 Heat removal from the laser head is done by air convection. The SFQCW-266 plug & play laser comes with a control unit, allowing either push button control or remote control operation via serial (RS232 & USB) interface. The lasers offer excellent beam quality with an M2 below 1.3 , beam divergence below 0.8mrad (full angle), low intensity noise below 0.5% rms (100 kHz-10MHz) and a good power stability (<1% in 8 hours). These CW laser units are the proper tools for industrial use and intensive R&D applications as Raman Spectroscopy, Wafer inspection and Photoluminescence where a long coherence length is required. 1. After 30 minutes warm-up in the temperature range 20 - 35°C, temperature change < 1°C/hour. 2. The exit window is equipped with the Manual Window Shifter (MWS) in case of external photo contamination. 3. 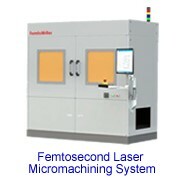 This laser system is not equipped with the Automatic Crystal Shifter (ACS) due to the lower power densities on all internal optical elements. 4. 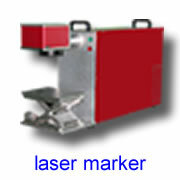 Position and angle of static alignment tolerances are specified with regard to laser beam exit. 5. Length of laser head is +50mm expanding by using purge interface.